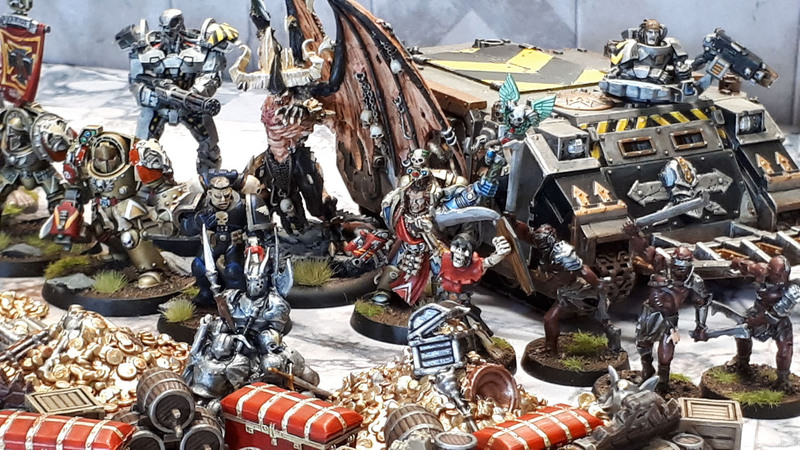 Monthly Painting Round-Ups | Azazel's Bitz Box. Kicking off this month’s dual-mode challenge of Neglected Models and Terrain, we have Patmcf, aka Model Man Pat from Pat’s 1:72 Scale Military Dioramas brought this piece to final completion in February – The Medieval Castle. 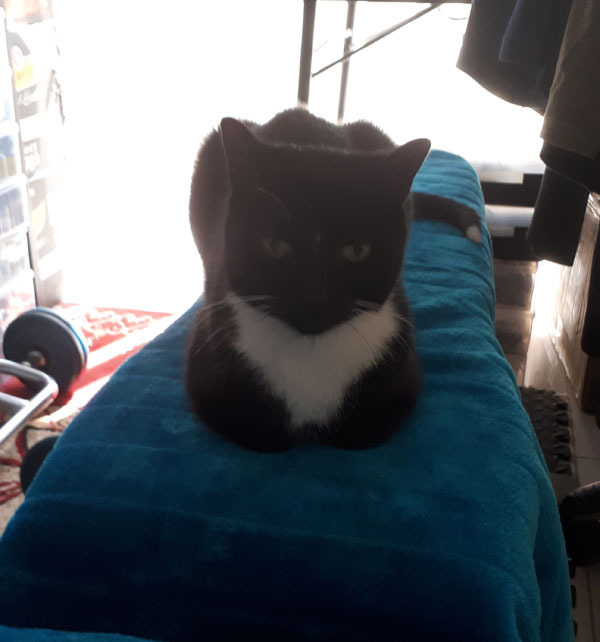 While at first glance you’d be entirely forgiven for asking “Hang on, didn’t we see this one before? Last month, actually?” the difference here is that Pat has turned what was essentially an impressive piece of scenery into a fully-blown diorama, with the addition of several dozen painted models – giving a great deal of life to the complete work, as you can see a number of small mini-narratives taking place across the breadth of the scenic piece. I strongly encourage you to check out Pat’s blog on the links above to see much, much more of this work. 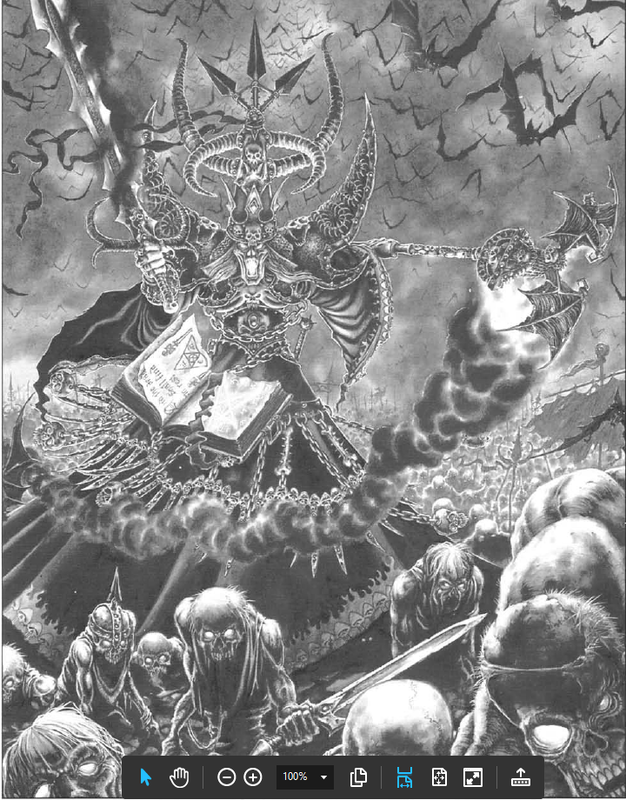 Next up is Dave Stone, from The Gamer’s Cupbard blog and his impressive Chaos Soulgrinder. Dave also sculpted the disgusting, green phlegm attack coming from the Daemon Engine’s maw. Nice. I mean, ugh. Backtothehammer from his eponymous blog, Backtothehammer painted up this lovely and vibrant looking Citadel Wood in what he claims was only two nights(!) 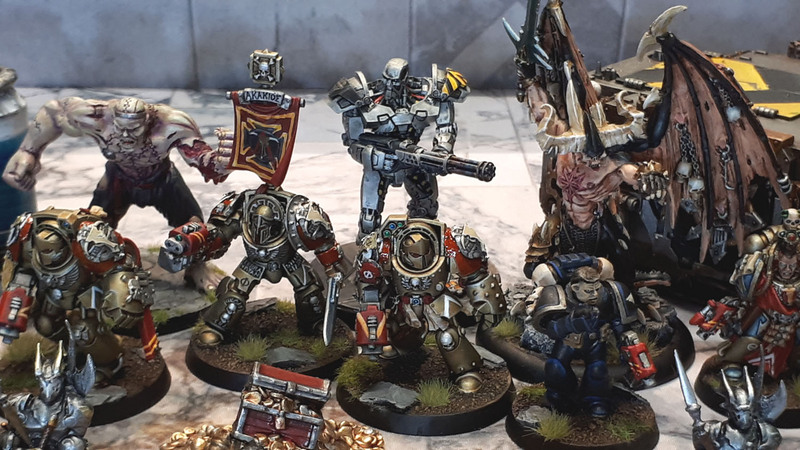 I know I get a lot of models done, but when I see something this big that looks this good done in such a short space of time, I’m still amazed and jealous! …and his corners and rubble end-pieces. Mikko,of Dawn of the Lead is (finally) on board for a challenge – welcome mate! 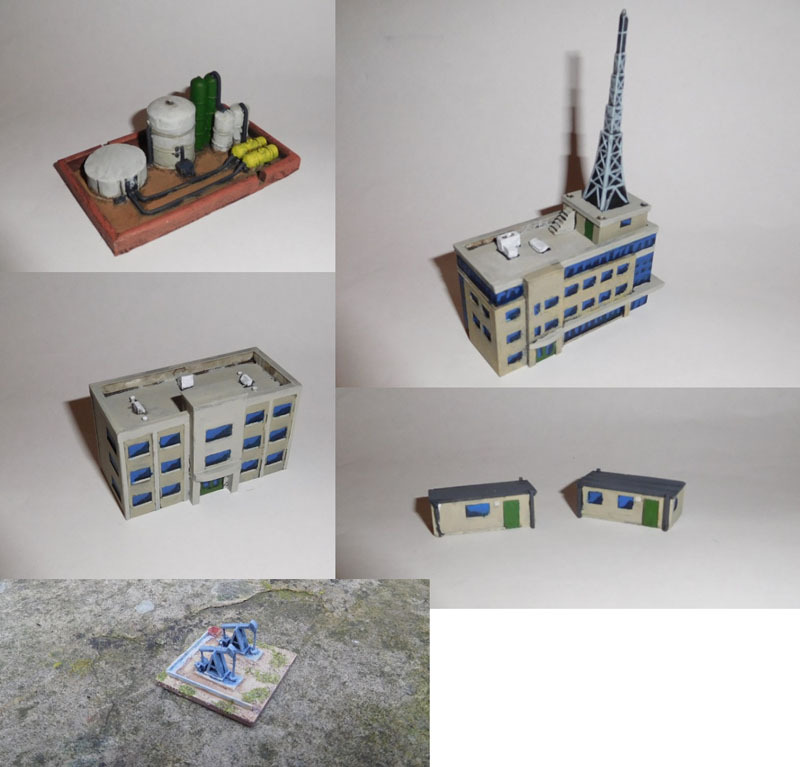 He’s completed some walls and corner pieces from Fenris Games’ “Rubble City” range. While Mikko says that some of them were finished awhile back, he’s picked them up again and retouched them – so it totally counts (I do this all the time with older models). I feel that the grime and subtle coloured shading on them makes them look incredibly realistic. Argentbadger, from The Bovine Overlord finished an impressive neglected trio of models from the Trollbloods faction of Hordes. A Troll Bouncer, looking suitably brutal to have the title of “bouncer”. A Troll Impaler. (If you ask me, he could be called a Whale Impaler.) And finally, a Troll Axer. Who carries a very big axe. No doubt, for axing things it doesn’t like. So many angry blue trolls…. 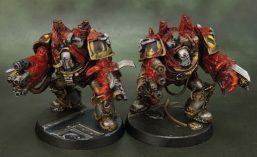 mcmattila’s Stormcast Liberators – five with Hammers and five with Swords. 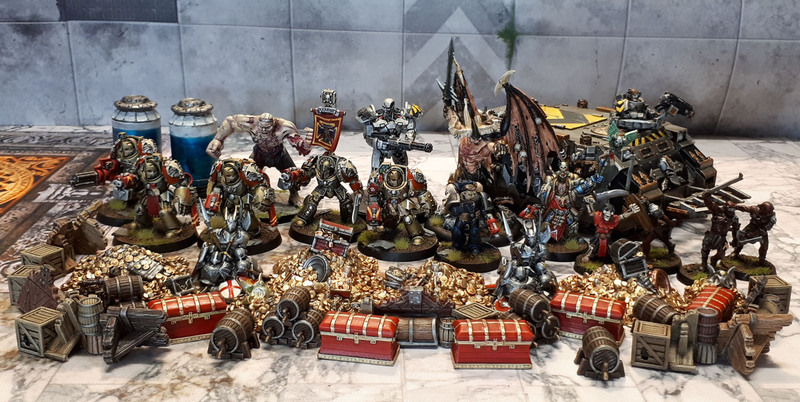 mcmattila of mcmattilaminis has finished off two sets of Stormcast Liberators in his Silverlions scheme. The first five are armed with Hammers while the second five are armed with Swords. I feel like I’m selling them short if I leave it at that, so I’ll just recommend that people take the time to check out both posts for more detailed shots of both sets of models. 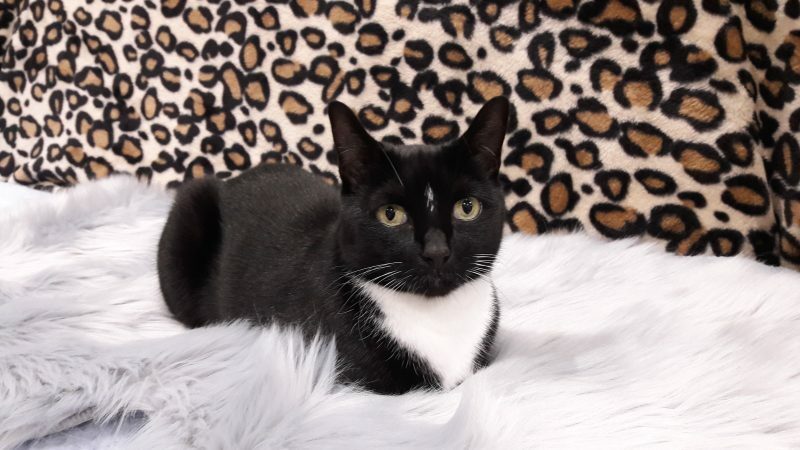 Your eyes will thank you! 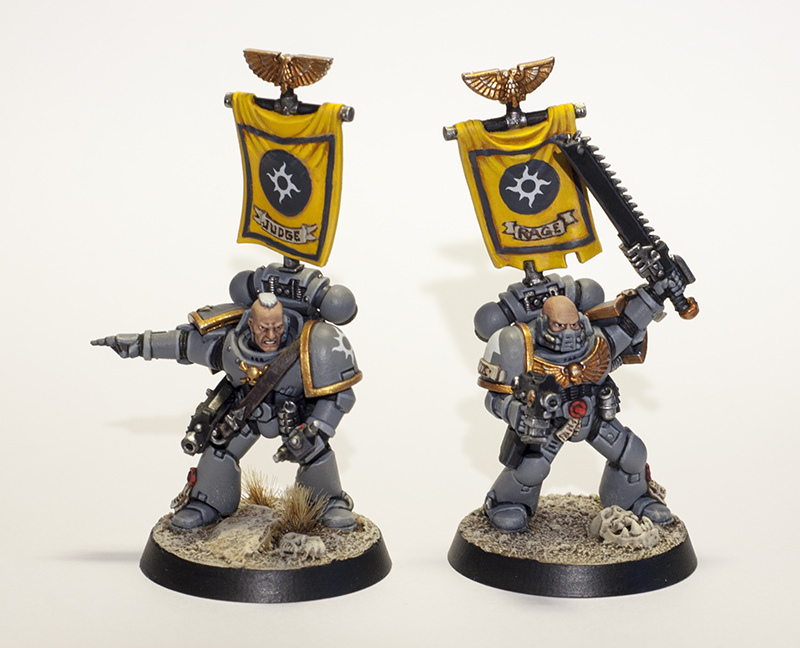 Sunfire, from Rhoda’s Reach has completed a pair of Primaris Space Marines in the livery of his Vengeance Knights chapter. 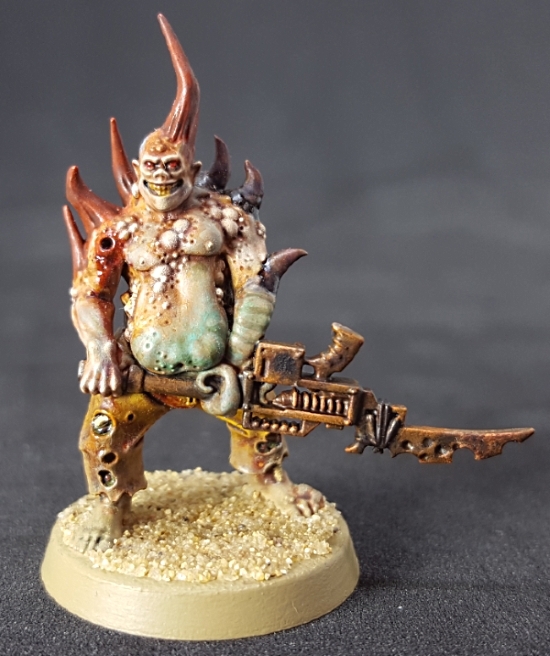 These Neglected Models originally came from the Dark Vengeance starter box. I’m not sure how many more await us, but I’m looking forward to seeing the rest of their force! 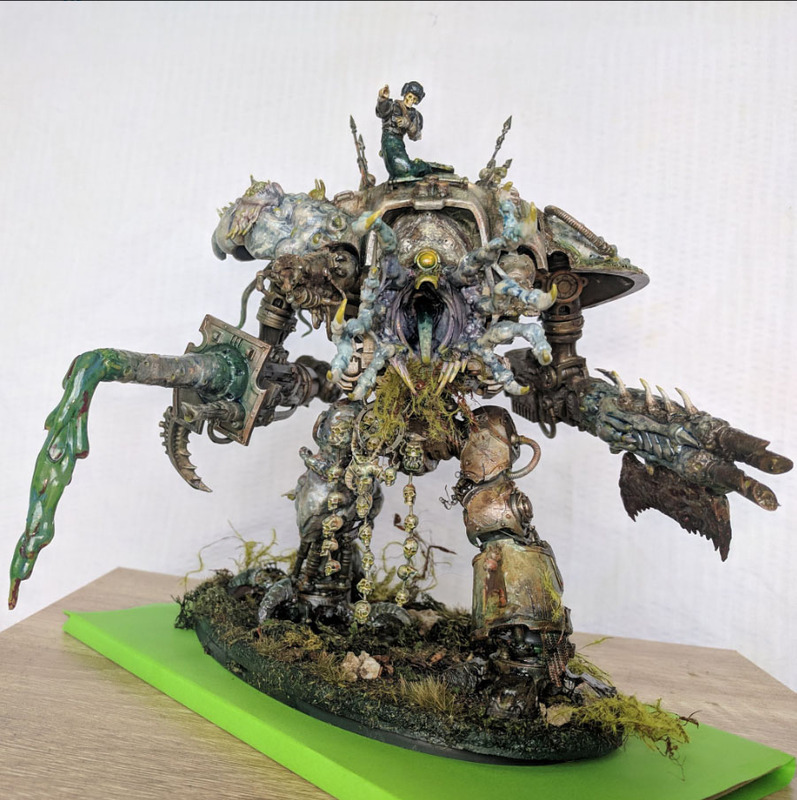 dave2718 from Faith&Steel completed a rather impressive Neglected Model this past month – a Chaos Space Marine (and probably also Daemonkin, in a few days) Helldrake. I have to say that I have one of these kits, and given how complex both the assembly and painting looks to be, I haven’t even considered starting on it. More credit then, to Dave for getting the thing done! Not one to rest on his laurels, Mark also put together a foursome of smoke/blast markers, built around some LED tea lights. 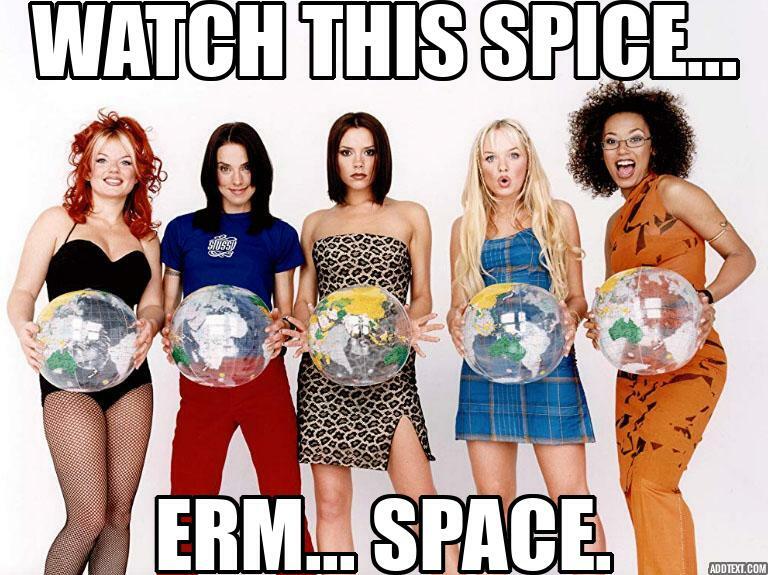 Instead of typing more, I’ll just say look at them! The Imperfect Modeller from The Imperfect Modeller completed “Mad Jack”, The Lighthouse Keeper. 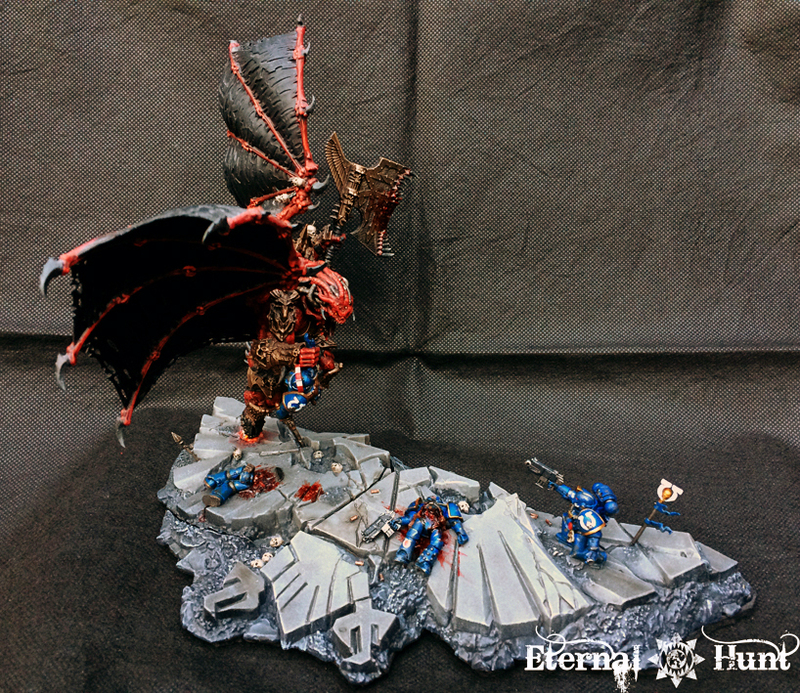 This completed piece, with the model from Artizan really qualifies for both of the February challenges, as we have both a Neglected Model as well as a terrain piece. While a simple piece in many ways, the composition is nonetheless quite evocative and effective. 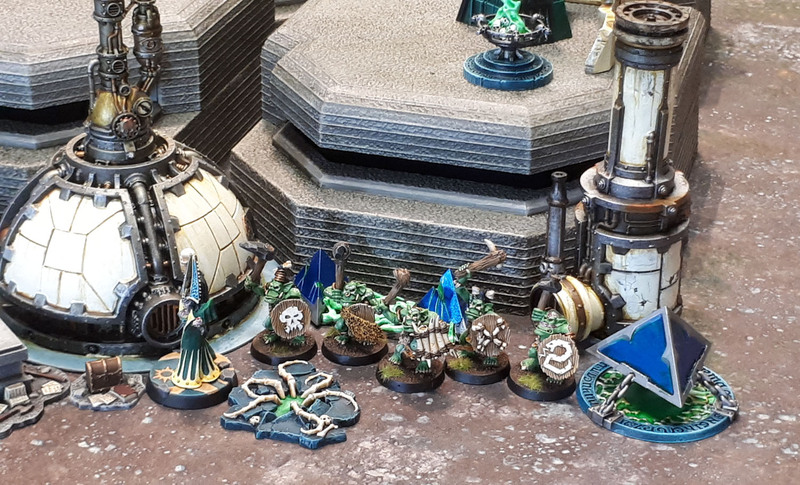 Pandora’s Bits Box, from the Krakendoomcool blog completed the above five Genestealer Hybrid Aberrants for his Neglected Models. 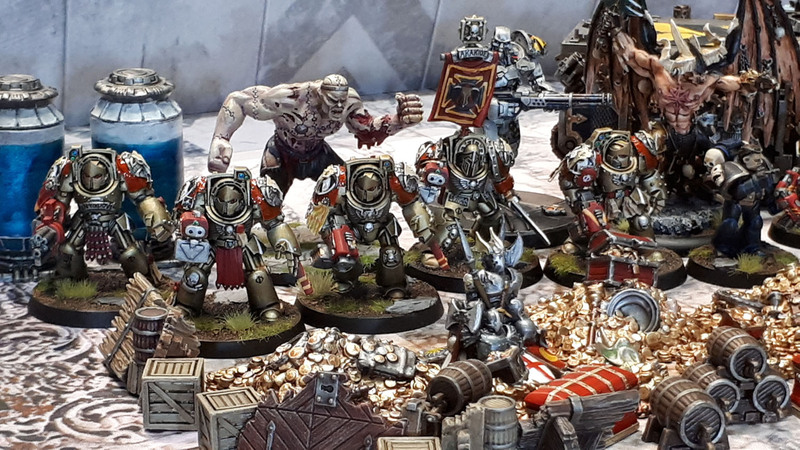 I admit, I didn’t realise that Tooth and Claw was 6 months out already, but that’s how quickly life passes by with GW’s rapid release schedule right now, I guess! The highlight on these ones for me is the lovely blending on their skin tones. 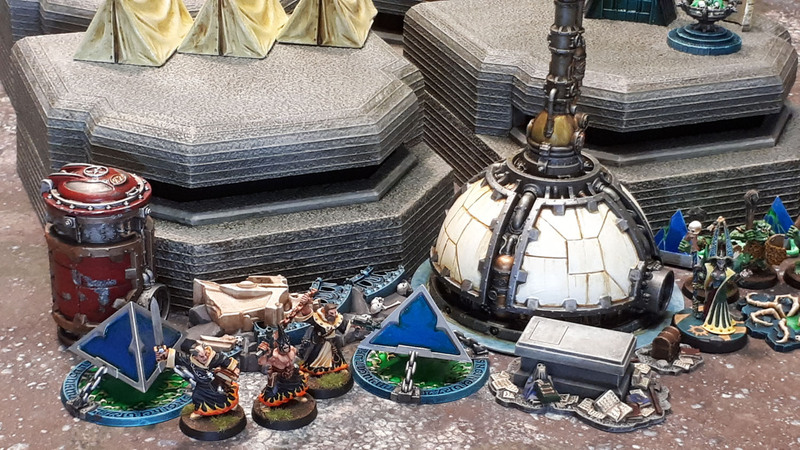 Of course, Pandora also completed something for the terrain component of February’s challenges – that being the Crashed Aquila Dropship from the 4th Edition “Battle for Macragge” 40k Starter set from 2004. The funny thing about this kit is that both Krautscientist and myself also attempted to get this kit completed over the past couple of months, but neither of us managed to get them done yet. Ah well, there’s always the next terrain month – or anytime before then! 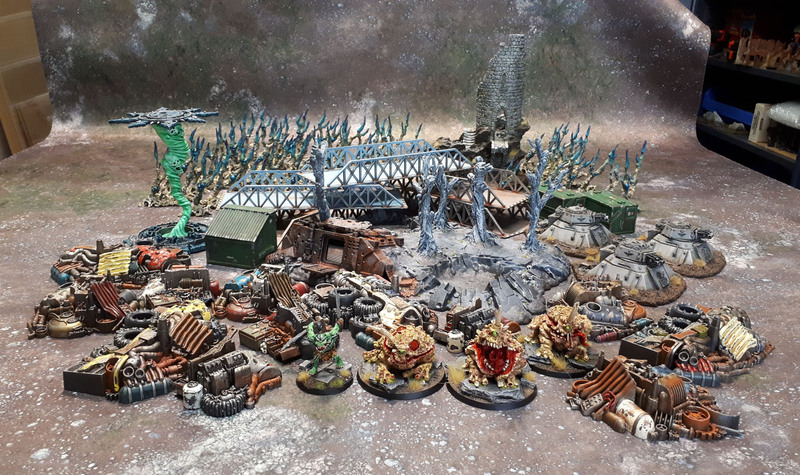 Just Needs Varnish’s Scratch-built 20mm Cottages. Just Needs Varnish from Just Needs Varnish created a number of terrain pieces. From scratch, of bloody course! 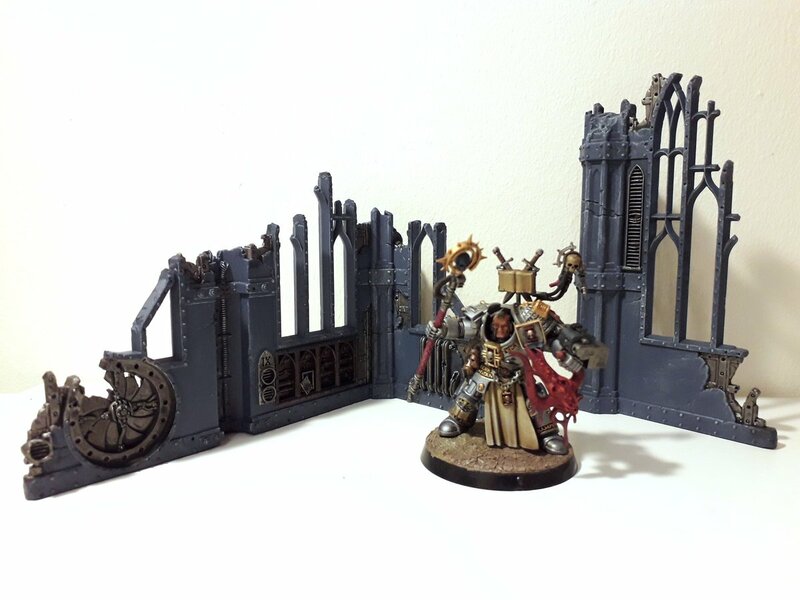 First up are a pair of cottages (WIP pictures included on his post) and then something even more impressive, a large bridge piece that looks to me like it could be one of those premade MDF kits that are all the rage these days. Once again, John’s ability to scratch-build models that look like commercial kits manages to astound me. 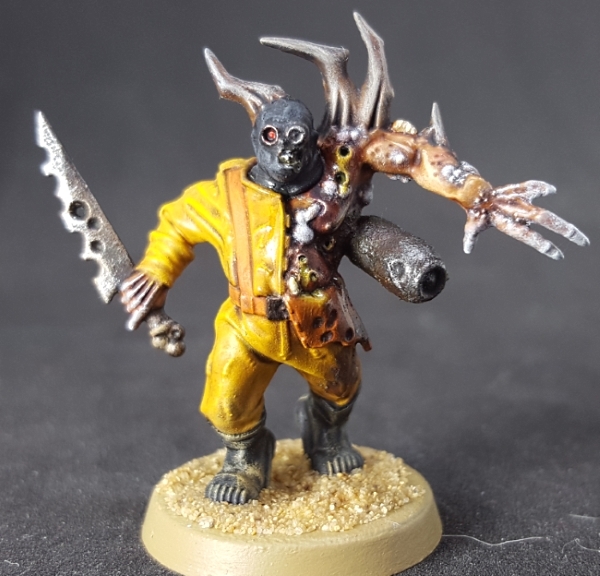 Alexis West, aka Westrider from Cascadian Grimdark, completed quite a few Neglected Models over February. With a full squad of 10 Genestealer Cult Neophyte Hybrids in the front, joined by two pairs of civilians/crew types. One pair of GW Imperial Guard Crew models, and also a pair of female Spaceport Crew from Statuesque Miniatures. Pete S /SP from SP’s Projects Blog completed this amazing looking Ruined European House. An Airfix 1/72(ish) kit, Pete has done an outstanding job of turning a standard kit into something that will really be a highlight on the table for his 20mm battles, with the addition of interior details, rubble and so much more. 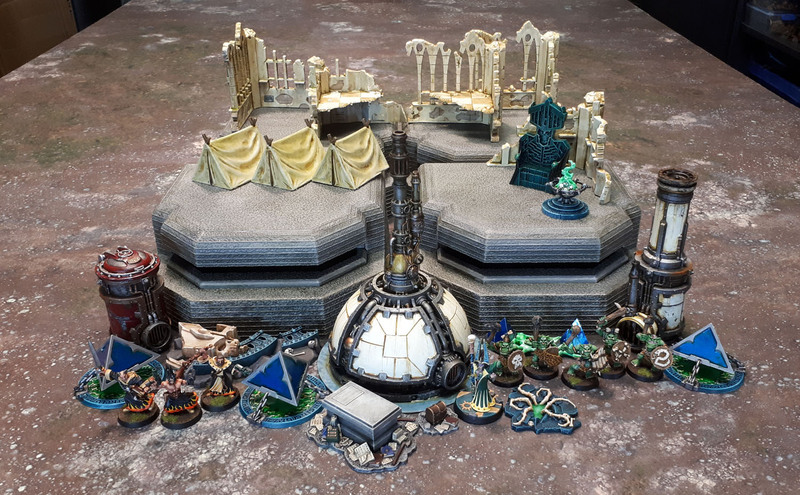 Krautscientist from the Eternal Hunt has gone old-school for his Neglected Models in February, by beginning a cool little project – painting the entire set of models from the original 1989 HeroQuest Boardgame with his 2019 painting skills. First up we have the four player-character heroes. KS rapidly followed this up with a HeroQuest-sized horde of Orcs. And then, Krautscientist turned out a very impressive three sets of Undead from the game. The Zombies, Skeletons and Mummies. 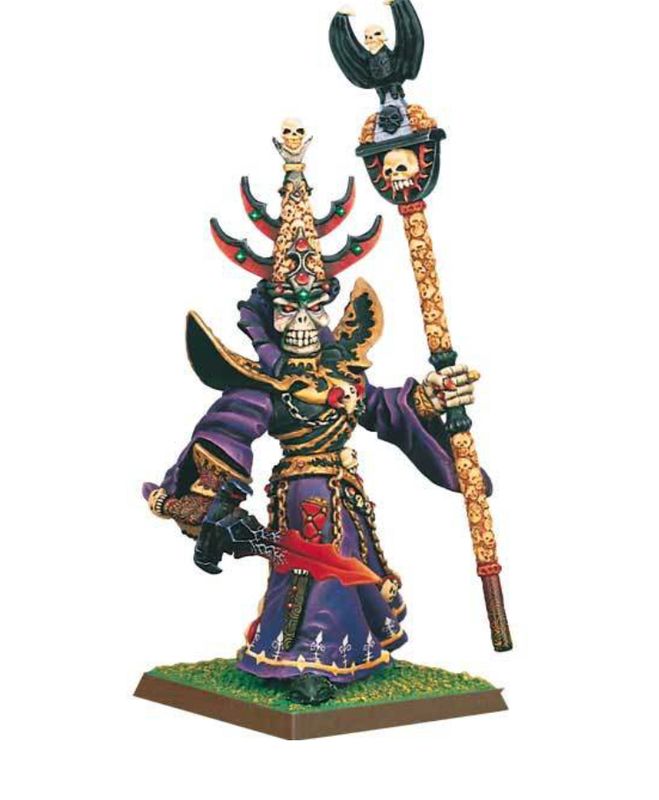 I have to say that especially on these sculpts, KS’ excellent paintwork really shows that these thirty-year-old sculpts really still hold up well today. It’s going to be amazing to see the whole game painted up, and at this rate it won’t be long! 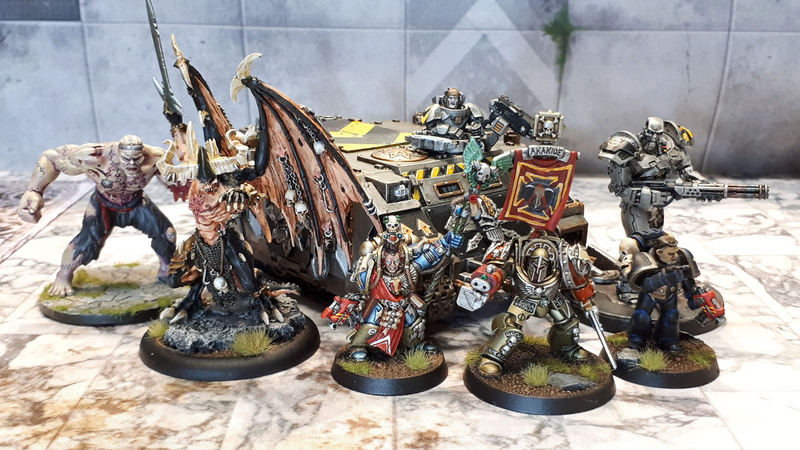 Finally, we have a carryover from January’s Challenge (which I’ll edit into that post later) – Mark Griffiths aka Spalanz from Spalanz completed this Grey Knights Captain as a centrepiece model. I missed it at the time because it wasn’t posted as a link on the WordPress, and then I thought I remembered it, but couldn’t find it posted on his blog when it was time to assemble the Community Round-Up. I spotted it the other day, on Twitter, so I’m adding it in here, today. And in a first for this, my own Personal February Round-Up will have to be added in later, as due to various personal events in February, I had a hard time getting stuff photographed, and also wasn’t up to posting for various periods of time. 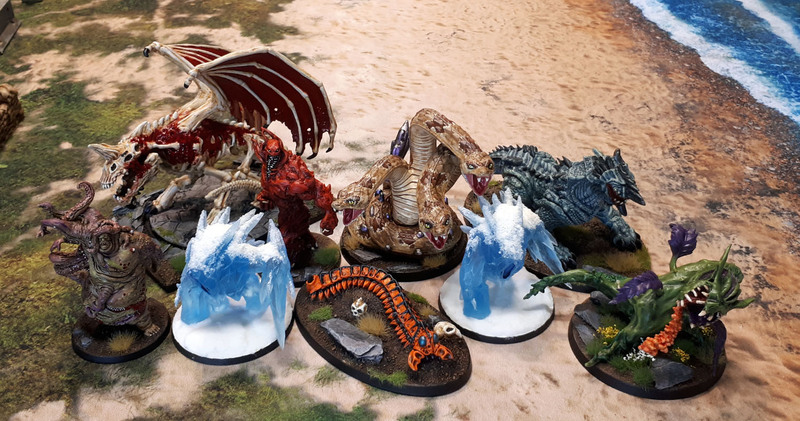 As a result, I’m still in the process of doing both for my own February models – but importantly, I didn’t want the community round-up to lag behind massively as happened in January. Speaking of… is your own February Challenge work missing from here? If you left a link in the announcement thread, then it should be here and I apologise. If there’s no link there, then leave one here. I may seen, read and even commented on your post, but I’m damned if I can remember each and every blog post I go through each month! Broken links, etc – just bring it to my attention and I’ll also fix them up ASAP.